“I have planted, Apollos watered, but God gave the increase. So then neither is he who plants nor he who waters anything, but God who gives the increase. Now he who plants and he who waters are one, and each one will receive his own reward according to his own labor. For we are laborers together with God: You are God's vineyard; you are God's building. According to the grace of God which has been given to me, as a wise master builder, I have laid the foundation, but another builds on it. Now let each one take heed how he builds on it. For no one can lay another foundation than that which was laid, which is Jesus Christ. Now if anyone builds on this foundation with gold, silver, precious stones, wood, hay, or stubble, each one's work will be revealed. For the Day will declare it, because it will be revealed by fire, and the fire will test what sort of work each has done” (MEV, emphasis added). It is vital for the Church to be relevant. But too many in the Church are about confused about what relevant is. It's not an issue of style, location, type of building or any external factor. The timeless fundamentals of the Christian faith are what makes a congregation relevant. And they are needed more than ever. Of the current millennial generation, just 4 percent hold biblical values vs. 75 percent of their grandparents' generation. 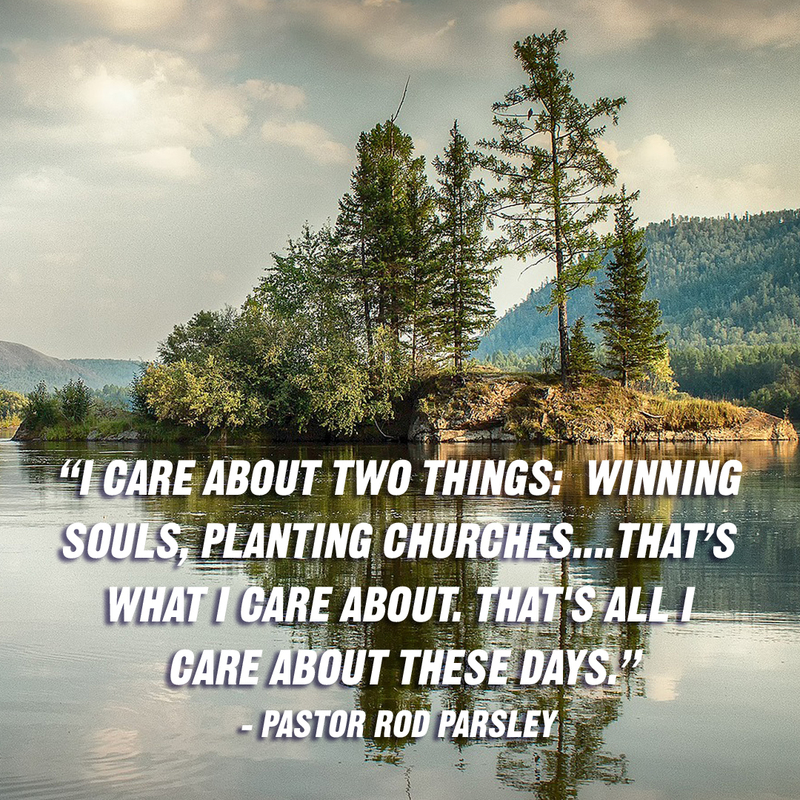 Communicating God's extravagant love for His people in all situations is what will make us relevant, but the Church has increasingly focused on other things. The new City Harvest Network is being birthed from WHC to connect pastors, plant new churches, re–launch others and multiply more by adding satellite campuses. The Great Commission and Great Commandment are more relevant than ever and these churches will carry the message clearly and without compromise, emphasizing personal relationship that leads to conversion! 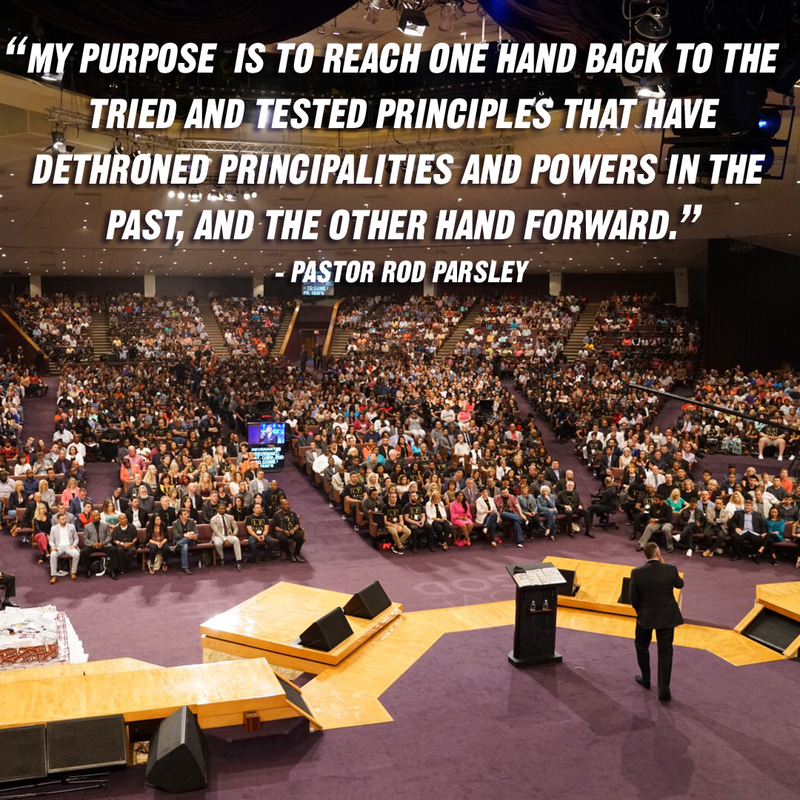 This is what God has called Pastor Parsley to do the rest of his life – win the lost and plant churches. Thank You for letting me be a part of a revenant church – a church that is focused on the essentials of the faith and is helping birth other churches to do the same. It is incredible to be part of fulfilling the Great Commission and the Great Commandment, to love You and to love people. Thank You for the legacy You built for our pastor and our congregation at Dominion Camp Meeting. Order my steps that I may contribute however You see fit in Your vision for this great Holy Ghost church and for the people You have placed in my life to influence. Make me all about souls, for Your sake!